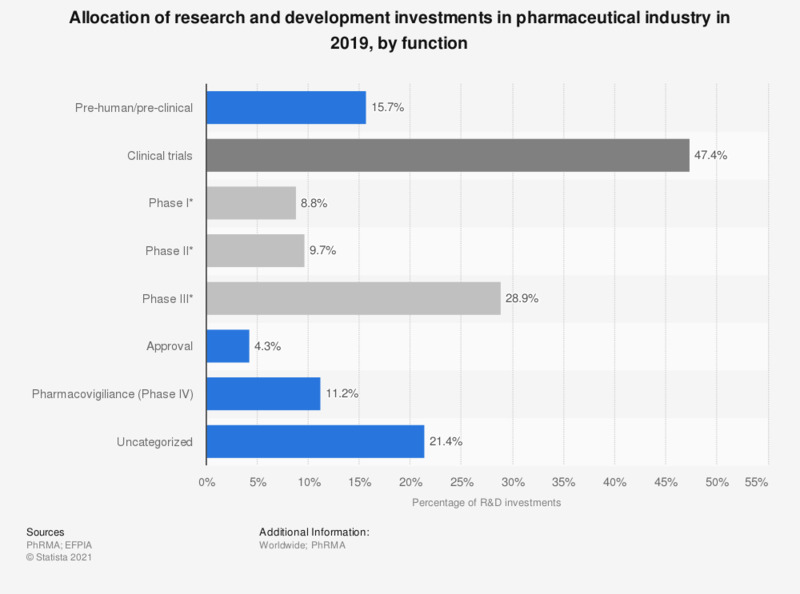 This statistic displays the pharmaceutical industry's research and development investment allocation by select functions in 2016. The pharmaceutical industry spent 17.2 percent of research and development investments in the pre-human or pre-clinical stages. * Phase I to III are part of clinical trials. Note: PhRMA, Annual Membership Survey 2017 (percentages calculated from 2016 data; total values may be affected by rounding).